Abstract: Critical limb ischemia (CLI) is considered the most severe pattern of peripheral artery disease. It is defined by the presence of chronic ischemic rest pain, ulceration or gangrene attributable to the occlusion of peripheral arterial vessels. It is associated with a high risk of major amputation, cardiovascular events and death. In this review, we presented a complete overview about physiopathology, diagnosis and holistic management of CLI. 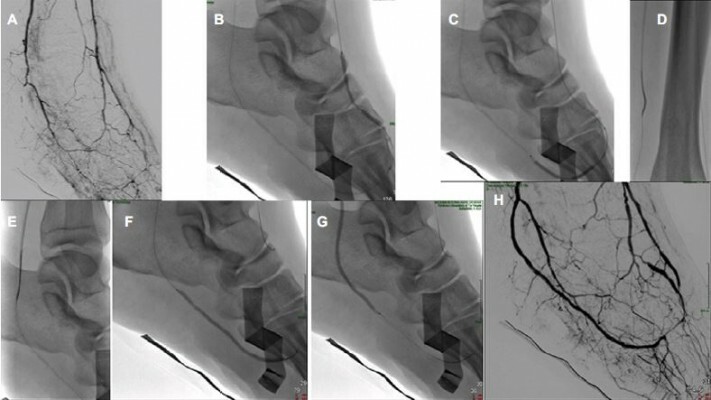 Revascularization is the first-line treatment, but several challenging cases are not treatable by conventional techniques. Unconventional techniques for the treatment of complex below-the-knee arterial disease are described. Furthermore, the state-of-the-art on gene and cell therapy for the treatment of no-option patients is reported.